It’s taken me a very long time to get to this second report for my 100 Years of Books project. 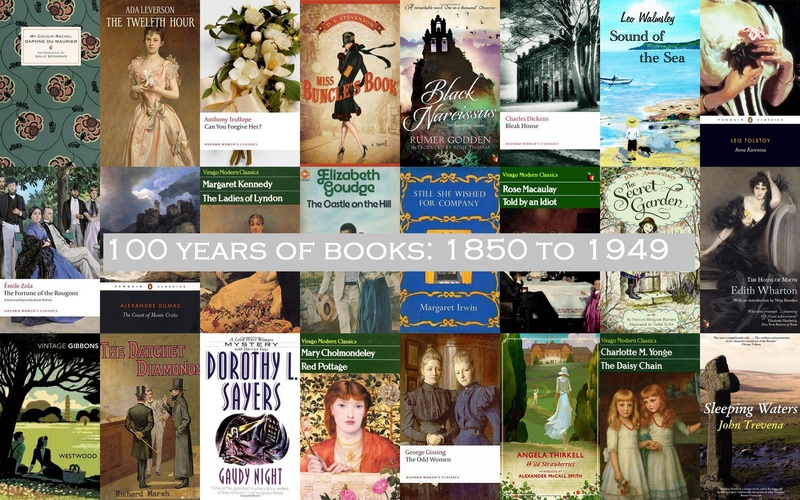 That’s partly because I’ve read a couple of big books that were published before 1850 – The Count of Monte Cristo and Vanity Fair – and partly because I ‘ve been going back to authors – Margaret Kennedy, Anthony Trollope, Angela Thirkell – and I want 100 authors for my 100 years so each author only gets one appearance. And it’s also because I began to have doubts about whether this was the right project. Because I feel differently about the two centuries I’ve brought together. The twentieth century is home and the nineteenth century is somewhere I love to visit, so I thought that maybe I should have two projects, one short term and one long term. That thinking distracted me for a while, but in the end I decided I would stick to the original plan; to read the books I picked up naturally and to read the books that I didn’t pick up quite as naturally but really appreciated when I did. I may struggle to fill some of the earlier years but …. I think I have to try. And that’s it! It shouldn’t be such a wait for the next report …. 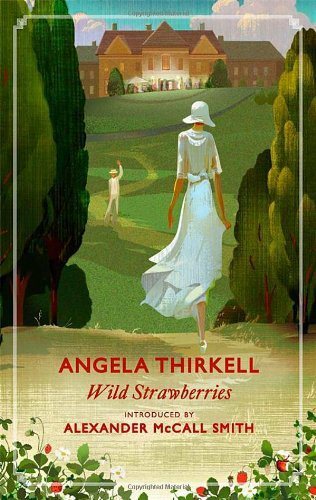 ‘Wild Strawberries’ is the story of one aristocratic English family and one glorious summer in between the wars. 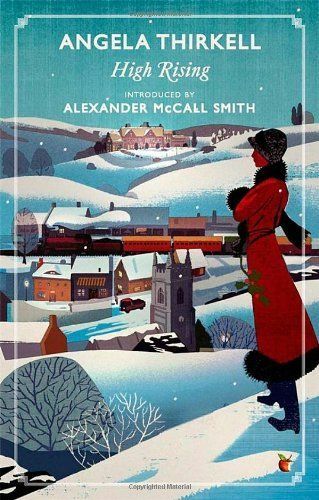 And it is set in Angela Thirkell’s Barchestershire, a place where every single person, however high or low their situation, is happy and accepting of their situation and the role they are to play. You need to be able to accept that – and I can understand that some might not be able to – but I can, and if you can too, you will find much to enjoy in this light, bright and sparkling social comedy. Lady Emily is the matriarch, of the Leslie family of Rushwater House. who happily manages everything for her family, even when it doesn’t need managing. She is sweetly oblivious, and wonderfully good natured, so the servants and the family have learned to listen, nod, and carry on managing things themselves. Sir Henry and Lady Emily lost their eldest son in the Great War, and they still feel his loss, but they are happy with their home, their lives and their family around them. The story wanders through the summer with just enough narrative threads running through the picture to make it feel like a story. Agnes, the Leslies’ only daughter had come home for the summer, with her children, because her husband was abroad. She is had a week and tranquil nature, but she could be rather vague, and I suspected she might turn into her mother when she was a little older. It was lovely though to watch her with her children; she found such joy in being a mother, and her offspring gave the story such natural charm and comedy. 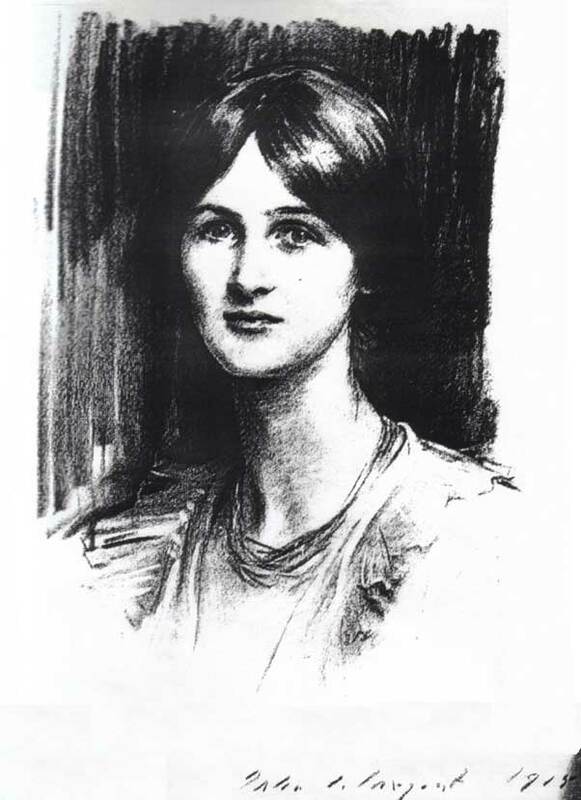 Mary was Agnes’s husband’s niece, and Agnes had invited her to Rushwater House for the summer, while her mother was abroad for the sake of her health. She was lovely, and she clearly enjoyed having a place in a large, extended family, and spending her summer in a big house set in glorious countryside. Agnes hoped that Mary would be a companion for her mother, and she also planned a little match-making so that Mary might become an in-law. The most likely match seemed to be between Mary and David, the younger of her two surviving brother. David was handsome and charming and Mary was soon smitten, but I was not happy with the proposed match. Because David was so caught up with his own interest in concerns and he was terribly thoughtless. There was no malice in him and nothing that couldn’t be fixed by a little more life and experience: he was so blithely confident and it never occurred to him that others weren’t and could be hurt by his thoughtlessness. Mary was hurt, when David brought another woman to lunch on her day out in London, when he completely forgot the basket of wild strawberries he had promised to bring home for her …. David’s elder brother, John, saw the situation. He was a wonderfully sensitive and practical man; a widower whose wife died after just one year of marriage; the very model of a quiet hero. John made sure that Mary got her wild strawberries, he saw that David did not understand their significance to Mary, and yet but he let David assume the credit. Meanwhile, the Leslies’ beloved grandson and heir was home from school for the holidays. There had been a plan for him to go to France for the summer, to learn the language, but he had wiggled out of it when he discovered that a French family would be staying at the vicarage for the summer. The elder son of the family became his tutor, and the younger son became his partner in crime. The mix of characters – family, staff, visitors – and incidents keep things moving along nicely; the comedy rises and falls beautifully too, from laugh out loud to gentle smile; there are so many wonderful dialogues; and the quiet sorrow, from the loss of a son and a wife, bring just enough balance to stop the story feeling too frivolous. It’s a world perfectly realised, and it was lovely to watch it for a little while. There are high jinks at the estate party at the start of the summer, but it is at the end of the summer, at the birthday dance held on Martin’s seventeenth birthday that future paths are set …. The ending was right; of course it was. And the next book in the series is lined up. I have a love-hate relationship with year-end lists. I have loved lists – writing them, reading them, studying and analysing them – since I was a child. And yet I find it difficult to sum up a year of reading in a list or two. 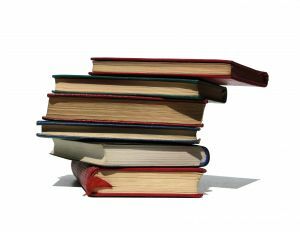 I know that it’s for the best of reasons: I have learned that there are so many wonderful books out there, and so I have learned to read the books that call; the books I want to read, rather than the books I ought to read. So I’m going to do what I did last year. I’m going to assemble a virtual box of books to capture all of the things that I’ve loved in this year’s reading. It might sound like a list, and maybe it is, but to me feels like I’ve pulled some great books from the shelves because those are the books I want to pull from the shelves right now. It’s not quite so definitive. And that is very nearly the end of my reading year. All that remains is to tell you about the very last book I read for my Century of Books, and to wind up that project ….. I have to do this from time to time. I have to celebrate the books I’ve read, organise the books I’m reading, and think about what might come next. 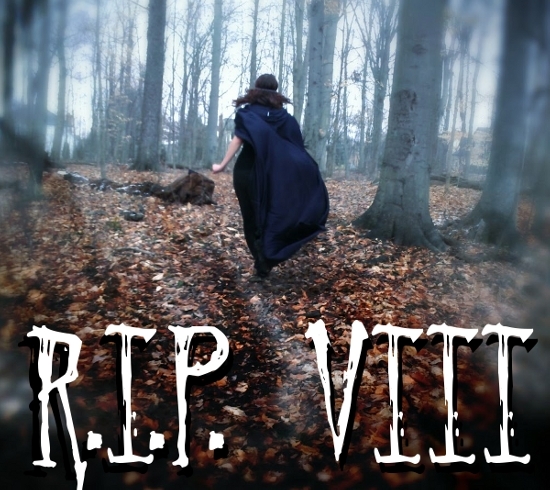 R.I.P VIII ended at Halloween and, though I didn’t read many of the books I lined up at the start of the season, I was very pleased with the eight books I did read. I’ve nearly finished Burial Rites by Hannah Kent too, and I’ve made a start on Deborah Harkness’s Shadow of Night. Two of my RIP books – Treveryan and The Unforgiving slotted into my Century of Books, and I passed the 80% mark in the middle of last month. I have a few books in progress. I spotted a beautiful 30th anniversary edition of The Sunne in Splendor in the library a few weeks ago, and that made up my mind to re-read it for my Century of Books. I loved it years ago, I love it now, and I’m into the final act. 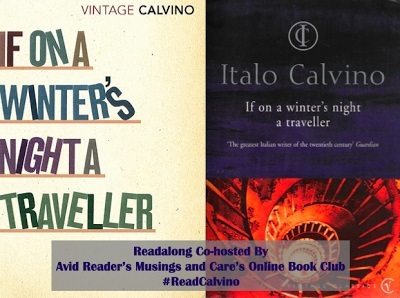 I was warmly recommended Italo Calvino’s If on a Winter’s Night a Traveller to fill a difficult year – 1979 in my century of books – I was intrigued, I ordered a copy from the library, and then I discovered a readalong. Clearly I was meant to read this book, I started to read last night, and I am already smitten. I’m re-reading Angel by Elizabeth Taylor too, in a lovely new hardback edition. It won’t fit into my century, but it was too lovely to resist and I have books that will fit lined up. Books like And Then You Came by Ann Bridge for 1948, A Little Love, A Little Learning by Nina Bawden for 1965, High Rising by Angela Thirkell for 1933 …. 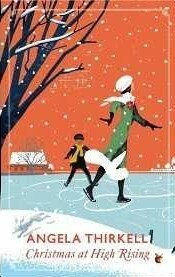 I had a few books to choose from for 1933, but when I learned that Christmas at High Rising was on the was my mind was made up. 1901, on the other hand, was a tricky year. 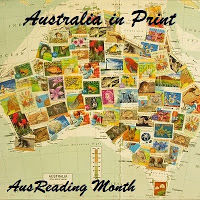 In the end I decided to re-read My Brilliant Career by Miles Franklin, and again it seemed to be meant, because I discovered that this was Australian Reading Month. A survey of my shelves found books by Eleanor Dark, Kathleen Susannah Pritchard and Henry Handel Richardson that I’d love to read. Or I could re-read Oscar and Lucinda or The Thorn Birds, either of which I could slot into my Century of Books …. More books than I could hope to read, but it’s good to have choices! I can’t think much beyond finishing my century at the moment. I’m clearing the decks as much as I can to get that done – no more book-buying and no more library reservations this year, because I need to focus on the books I have already. What Colour was your Day? It comes from Three Houses, an early autobiographical work by Angela Thirkell. My evening was brightened by a lovely walk along the seafront with Briar, and now I’m going to spend an hour on the sofa, knitting and watching The Apprentice, before I retire to bed with an NYRB Classic.